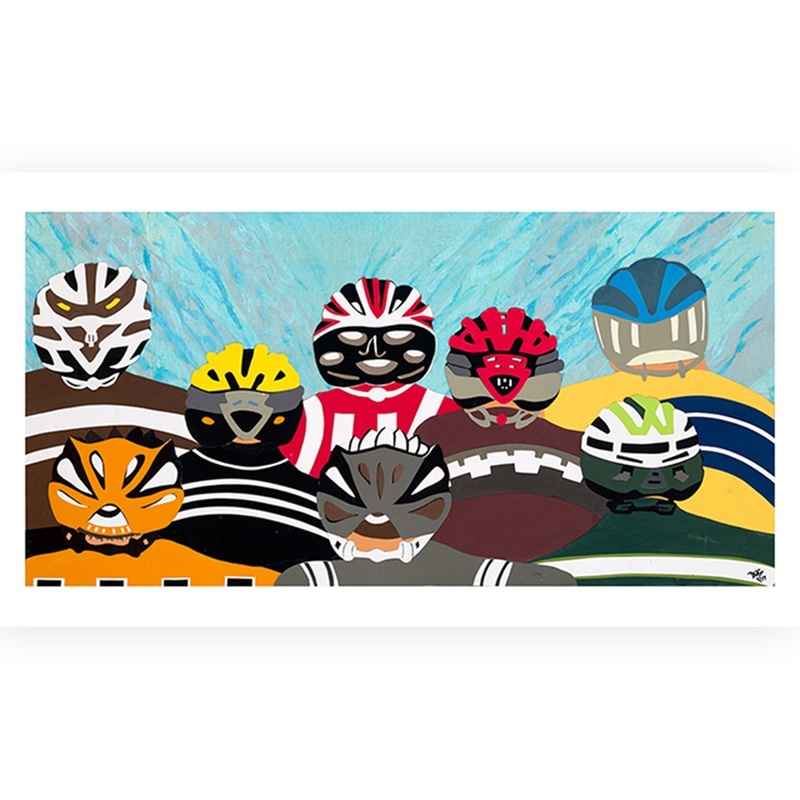 This piece is inspired by years in the peloton and watching the evolution of bike helmets. The modern helmet contains many vents of all shapes and sizes. As you near the end of the race, or a long ride with friends, those vents start to look like faces. Are they cheering you on or laughing at you? The cool thing about art is that you, the viewer, get to decide! Original art is 24”x48” tissue paper, found papers, and acrylic medium. Collage on birch laminate board. Signed and numbered giclée prints on archival papers with archival ink are available and in stock in 12″x24″. Full size giclees in 24″ x 48″ are available by special order. Please allow for an additional 3-5 business days for this size.